The Penguins entered the draft with a couple of specific needs, which is a bit different than in some recent off-seasons. They hoped to add to the depth of their defensive pipeline as well as balance their wing situation by adding on the left side. 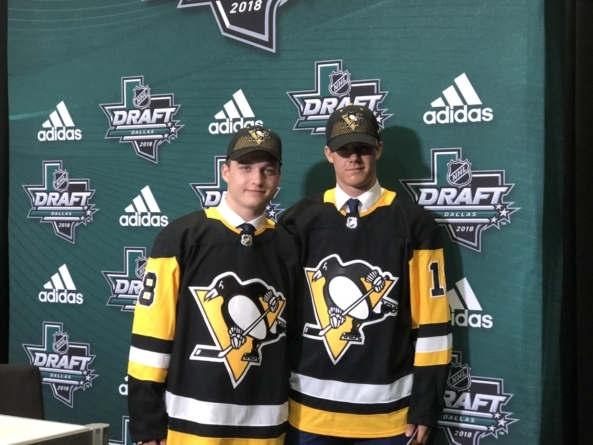 They accomplished both goals with their first two picks selecting defenseman Calen Addison with the 53rd selection and left wing Filip Hallander with the 58th. They acquired the 58th pick moments after selecting Addison by flipping their 64th and 146th picks to the Colorado Avalanche. Both players bring different things, but both look like they’ll carry some organizational impact. Addison admits to needing some work on the defensive side of the puck, but he is really looking forward to seeing how his offense meshes with the Penguins’ talented group of forwards. That excitement stems from the fact that he considers himself to be a creative player. Interestingly enough, he won’t be walking into the organization blind, as he is best friends with Penguins’ prospect Jordy Bellerive. The duo talk daily and the latter gave a very positive assessment of what to expect from his new organization. Addison isn’t the biggest guy, clocking in at 5-foot-10 and 178 pounds, but he doesn’t think that will be a problem. Hallander pretty much immediately compared himself to Patric Hornqvist, which speaks to what the Penguins must have liked about him. He is bigger than Addison (6-foot-1, 188 pounds) and feels that he might be about two years away from making an impact in the NHL. That said, his own description of his game reads like a scouting report on the gritty Penguins’ forward he patterns himself after. “I know, he’s gritty, but yeah,” Hallandar said through a chuckle. He also said that he feels he brings the same emotion. The Penguins do not pick again until the fifth round (129 overall). Scouting Report | Addison had a strong season, and it helped boost his stock significantly as the season went on. The smaller, offensive defenseman really found his offensive touch this season and was extremely effective all year. Smooth, dynamic skater that can pick up speed in a hurry and carry the puck coast-to-coast. Head is always up when he is on the puck, and he is accurate on his passes. Strong in the offensive zone, keeping himself in motion and getting himself open. Not the heaviest shot, but he can hit any part of the net he wants with his accuracy. Struggles a little defensively still, and it did come along in the last couple of months this season, which will really help him moving forward. Calen Addison is an undersized, offensive minded defenseman who finished his second full season with the Lethbridge Hurricanes. The former 2nd overall pick in the 2015 WHL Bantam Draft had a productive season, recording 65 points in 68 regular season games and an additional 19 points in 16 playoff games as the Hurricanes reached the Eastern Conference Finals. Addison is an explosive skater. He has a low centre of gravity, a powerful stride and is strong on his skates. His skating ability allows him to evade forecheckers with ease and get up and down the ice quickly, with and without the puck. He possesses excellent feet, with a great first step and the ability to move laterally quickly. These skills are the foundation for his offensive game, as he is able to buy extra time for himself because of his mobility. Calen is a efficient puck mover, and has the ability to make any pass on the ice. He rounded out his offensive game this year, showing the ability to create space and offense both for himself and teammates on the powerplay and at even strength. Calen has quick hands and is creative when carrying the puck up ice and on the offensive point. He also has great instincts, consistently jumping deep into the offensive zone to receive a back-door pass. His shot is dangerous, as he has a heavy accurate one-timer and quick release in stride. Addison is a competitive player who has a strong will to score and make offensive plays. This is what makes him a unique offensive player, but his determination to make a difference offensively can hurt him defensively. Addison has the skills to be effective without the puck, with excellent skating skills and a strong lower half. He has shown that he can be a physical presence, making big hits at times where he is emotionally involved. Calen can struggle in his own end, overcommitting to his man and has yet to show the ability to defend in one on one situations. Scouting Report | Hallander is a very smart centre that has a high hockey sense. He is a player that works hard, never takes a shift off and you always know what to expect from him. He is a complete 200-foot player that has very good offensive instincts to go along with his good skill set. Can make plays and has good work ethic. Really good skater and has nice top speed. He is hard to stop when he has the puck on his stick at top speed. Very good hockey sense and has that read and react game, which allows him to be a dangerous offensive player. Defensive game needs some improvement. Tend to lose his position and needs to work harder in the own end. After beginning the season with a successful Hlinka tournament that includes a Bronze medal, where he scored 3 goals and had 1 assist in 5 games, Filip Hallander spent all but one game this season at the Allsvenskan level, helping Timra IK with a promotion to the SHL level for the 2018-19 season. Hallander had quite the season, scoring the 6th most points for an under-18 player in the league’s 18-year history, right behind teammate Jacob Olofsson. Finishing the season with 20 points in 40 games and an additional 2 points in 9 qualification games. Hallander is a versatile, two-way forward who looks to attack the net using a good amount of skill. He currently has an average frame to work with but he is a quick skater with a great first step. This allowed him to catch up to players and cause some disruption on the forecheck and backcheck, as well as attack the defensive-line which made him dangerous on the penalty-kill. One of his best attributes is his mentality to take the puck into dangerous-area of the ice, regardless of the amount of traffic in-front of him. He made several high-end plays while dealing with pressure, such as wrapping the puck around the back of the net before attempting to jam it while dealing with a defender who’s draped over him. He’s not just dangerous in-front of the net area though, as he can create off the rush showing refined and deceptive passing ability. He can make plays while at top-speed and was very good at making sharp yet accurate backhand passes that he would saucer over sticks to his teammates. His shooting mechanics are just as good as his passing ability, using a snap-like release that was difficult for goalies to pick up on, especially when he would drive down the wings and look to change the angle. He had an uncanny ability of making plays happen when contorting his frame. This was primarily due to his balance, he’s good at generating additional power in his snap-shot and slapshot when dropping to a knee and we have seen make high-level passes by re-balancing himself after physical pressure was applied. He’s a smart player in all three zones who does everything well. You can put him at center and have him drive a line since his motor and aggressiveness help compliment other skilled forwards; you can also put him on the wing where he can create technical give-and-go plays with a skilled playmaker. On the powerplay, he’s capable of playing down near the goal-line and along the half-wall where he showed quick one-touch passes and no-look passes that resulted in some impressive primary assists. His willingness to play a 200-foot game makes him useful all over the ice. The biggest knock on Hallander at this time is that although he’s good everywhere, he’s not exceptional anywhere either. He can continue to fill-out his frame so that he can develop a more powerful stride and further enhance his ability to guard the puck when cutting but overall there’s no glaring weakness in his game. Due to his ability to play in all situations, we see Hallander as a potential third-line energy option who can compliment a top-6 when needed, while also getting some opportunities on both special-teams units. Justin Almeida in his second year of eligibility had a massive breakout season with the Moose Jaw Warriors. Being a high bantam pick Justin had huge expectations going into his 17 year old season, but for whatever reason things didn’t work out in Prince George. In his first full season with Warriors he scored 43 goals and 98 points in 72 games. Justin possesses high-end speed and skill. He has the acceleration to beat defenders wide. His speed allowed him to draw penalties seemingly at will. We believe his release is NHL caliber. He has the ability to get the shot of in close quarters with speed and accuracy. Many of Justin’s goals this season came from the high slot. The Warriors trusted Justin in all situations. First unit power play and penalty kill. 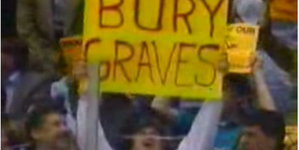 He was relied on to win key face-offs as well. The major knock on Justin’s game has to be his size. In the new game he can get away with being the most undersized player on the ice because his high-end skill makes up for it. The playoffs were a different story he got pushed around and seemed to shy away from the dirty areas of the ice. Overall Justin had an increasable season that really opened some eyes. If he put in the work in the off-season and add size and strength that will round out his game.